In our latest “ I am A Mainframer” interview series, Jeffrey Frey, Retired IBM Fellow, chats with Tuan Hoang. Tuan is a graduate student at Marist College in Poughkeepsie, New York, one of IBM’s longstanding academic partners. Tuan is also an intern for the Open Mainframe Project. His primary interest is in developing and working with Linux, which goes back to his very first days in college. In 2016, while finishing his bachelor’s degree, Tuan became exposed to the open source on mainframe and its internship program, specifically related to bringing Alpine to the mainframe. On this podcast, Jeff and Tuan talk about why Alpine on the mainframe and Tuan’s experience with the mainframes as a baby mainframer who has mostly worked with distributed systems/PC and Linux. Jeff Frey: Good day. I’m Jeff Frey, a retired IBM-er and an IBM fellow, and previously the CTO of IBM’s mainframe platform. 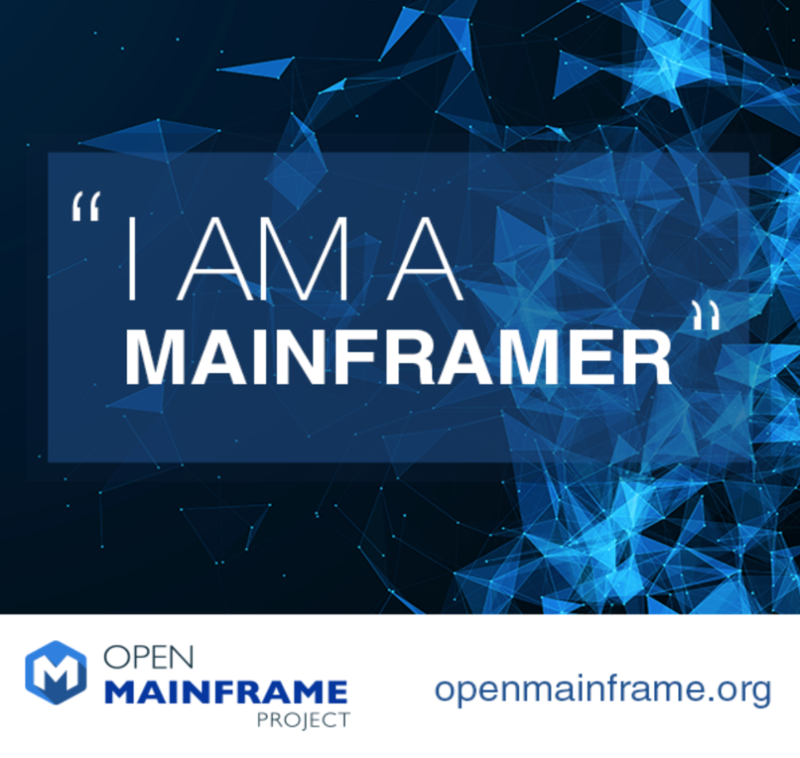 And once again, it’s my pleasure to host another edition of the “I Am a Mainframer” conversation series, sponsored by the Open Mainframe Project. As a Linux Foundation collaborative project, the Open Mainframe Project is intended to help create a mainframe-focused open-source technical community. It’s also intended to serve as a focal point for the development and the use of open source in a mainframe computing environment. So, the goal of the project is to excite the open source community around the use of the mainframe and also to foster collaboration across the mainframe community to develop and exploit shared resource, tool sets, open source tools, and services in the mainframe environment. In addition, the project seeks to involve the participation of academic institutions to help assist in creating educational programs aimed at developing the mainframe open source engineers and developers of tomorrow. So for today’s conversation, we have the pleasure of speaking with Tuan Hoang. Tuan is a graduate student at Marist College in Poughkeepsie, New York, one of IBM’s longstanding academic partners. Tuan is also an intern for the Open Mainframe Project. His primary interest is in developing and working with Linux, which goes back to his very first days in college. In 2016, while finishing his bachelor’s degree, Tuan became exposed to the Open Mainframe Project and its internship program, specifically related to bringing Alpine Linux to the mainframe. Tuan, it’s a pleasure having you on the broadcast today. Thanks for joining us. I’ve been looking forward to speaking with you. Tuan Hoang: Thank you Jeff. It’s my pleasure, too. Jeff Frey: So in order to get started here, tell us a little bit about yourself, your work with mainframe systems, and maybe a little bit about the internship. Tuan Hoang: As you said, in 2016, I started doing my internship with the Open Mainframe Project, and in that project I worked with Alpine Linux and to make Alpine Linux to run on the mainframe machines. It turned out that Alpine Linux is really great project with very nice people and very advanced developers who care so much about design, simplicity, and security. Alpine Linux is reallygreat in the sense that it uses musl libc and BusyBox for its base system. It has been adopted by Docker as its base Docker Image and LinuxKit; and when I work with Alpine Linux, I find it really simple and easy for many new developers like me. I mean, for someone who is either new to Alpine Linux or new to the mainframe. And my experience with Alpine and the mainframe is so natural, and everything went so smoothly. And in early 2017, the Alpine Linux officially supported the mainframe, to run on the mainframe. Tuan Hoang: Yes, I think the best selling point of Alpine is that it relies on its philosophical designs, that to make Alpine to run on RAM, you know, on memory. So, this means that Alpine is very lightweight. For example, you guys see the Docker image on Alpine is like 5 or 6 megabytes compared to 100 megabytes of Ubuntu or Debian. So, in the mainframe environment where you can run hundreds of thousands Docker images or container images, Alpine is very well suited for these purposes. I mean, Alpine also distributes their distribution to be very simple in a way that it disables a lot of unsecured options unlike some distributions like Debian where they enable a lot of default options that you have to disable in order to be a secure installation. If this software at this platform is popular and people are using it for any number of reasons, then why not take advantage of the most reliable, secure commercial platform in the world? So, now, I wonder if you have that experience as a young person, a young mainframer… did you have to adjust your perspective on the mainframe? Did you ever feel the mainframe wasn’t capable of some of this, your technology, or did you ever have that kind of perception of the mainframe that I know some people have, that it’s an old arcane platform, and it’s not suitable for Linux? Tuan Hoang: Exactly, exactly, Jeff. I think that the mainframe’s very modern, and it runs all of the modern software right now, particularly Linux, and I’ve seen some people say that… Yeah, I agree that some people say that it’s the old system, but actually it’s not. And by running on the modern software and operating systems, the mainframe keeps itself to be on the top of the wave of technologies, so the question is, “Why wouldn’t we run all the software?” Some people do say so, but I think it’s all the misconception is because they don’t have access to those systems. So, as long as they don’t have access, they tend to think that the mainframes are too old or not well-suited for a modern systems. But with the advent of the Linux One Cloud Community, I think they will change their minds soon because they will have hands-on with the system, and they will see that Linux on the mainframe is no different than compared to other architectures, and they will find that mainframe’s a really great system. Jeff Frey: Yeah. So, it’s cool that you mentioned access because I know that that is… I know certainly that it has been an issue in the past, and I know IBM has worked to make available Linux systems in various Cloud environments, etc. Tuan, do you think IBM is doing enough in this area, or could they do more? And if so, do you have the opportunity and the access to the right IBM people to try and get more done in this area? I know that’s a little bit of a leading question, but I thought I’d ask it since you brought up the access point. Tuan Hoang: Yeah, so, currently, I am the maintainer of the s390x port in the Alpine Linux project, and I have some access to the VM system at Marist College through IBM and the Linux Foundation as sponsors. And I usually have the question from other Alpine Linux developers, another core developers, that how they can have access to the system, and usually I have to tell them to go to LinuxOne Cloud Community. And that’s it for vm (virtual machine) access, but for something like z/VM access, I think it’s kind of hard for them to have that kind of access because currently, there’s no other way to get z/VM access for them. They have to come to IBM and ask for it. That maybe, I don’t know if it’s true, but maybe we should work on the z/VM access level, probably something like OpenStack thing, you know? You have management interface that you can create, run, stop, and delete Linux instances. So, maybe in the future, we can see something like that from IBM, something looks like OpenStack but more like z/VM, you know? Jeff Frey: Yeah, I mean, I think what you’re hinting at, and I don’t know what… I’ve been out of IBM now for 2 1/2 years, so I may be a little dated in my knowledge. There’s no doubt that I am, but I think what you’re describing is basically an infrastructure as a service offering that is kind of widely and publicly available and hosted somewhere. And I don’t know what the business conditions around offering something like that would be, the Terms and Conditions, but it seems to me as though if people are going to have to know some specific, tailored path to getting access to these systems, and it’s not very widely publicized or advertised, then we’re not doing everything we can to make sure that these systems are accessible to people. And I think your point is well-taken, and I think that’s a key issue. The other question I had for you, in terms of constraints that might exist in use of the mainframe for Linux, is, have you found that there is enough software available from third parties, from the open community, in terms of not just the Linux platform itself but all of the frameworks and all of the run times and development tools, etc. and do you see that there’s enough critical mass in available software for the mainframe? Tuan Hoang: Yeah, I think that, currently at the moment, it’s working. I mean, it’s enough. Let’s say for Intel platform. It’s everywhere, so people have access easily. So, for example, on ARM platform, or MIPS platform, the available software is more like 80 percent to 90 percent of the Intel platform. So, I think the mainframe platform is something between 85 to 95 percent of the Intel platform. So, I think we’re doing a great job for on the mainframe compared to MIPS and ARM platforms’ people. I’ve seen people from ARM platform and MIPS platform, and they struggle real hard to keep up with the Intel in terms of the number of supportive software and frameworks. So I think we are doing great. I’ve talked with IBM team in Canada, I’m not really sure, we talk usually online, so they’re doing a really great job to port, to make the software available on the mainframe, and I think they are really doing a great job. Some examples include like MongoDB, golang. And a lot of other software I couldn’t code recall right now, so I think 85 percent to 95 percent… it’s a really great job when it comes to… I mean, because some open-source software is are not for business purposes, so for a business platform like the mainframe, I think that’s really good, 85 to 95 percent, that’s really good. Jeff Frey: Okay, yeah, but that’s interesting. I mean, back to the access point. Do you think that people who want to explore the capabilities of Linux on the mainframe will jump right into kind of an Enterprise commercial about a business software, or do you think there needs to be less business-specific software available as well. I mean, the question really is, what are the barriers to entry in the use of the mainframe? Tuan Hoang: Yeah. I think… well, in the open-source software communities, most people are not business-oriented, so I really don’t know. Maybe they need a job that requires software and they have to use it, they have to develop it in order to be working on the mainframe platform. Or else, if they are just some… I mean, doing open-source software for hobbies. Maybe they don’t need to make a mainframe. I mean, I think maybe the barrier here is sometimes they need to get a job to work on it, you know. Jeff Frey: Okay. Let me ask just a… I know we’re kind of running up against our time limit here, but you mentioned z/VM before. Has most of your experience with Linux on the mainframe been hosted in a z/VM virtualized environment, or have you also been exposed to the KVM environment on the mainframe? Tuan Hoang: Yes, I have exposure to both of them when I started doing Alpine Linux on the mainframe. At first, I start with the KVM. I run Alpine in KVM using SUSE, and then I run it through some kind of problems, something like I had to use the DASD devices or the QDIO network interface, so I could not use KVM to run that kind of real devices. I mean, not ‘real’ real, they’re virtual, right? But some kind of devices that KVM cannot provide. So, I go to the z/VM in the natural way. Jeff Frey: Okay. Did you find that that jump or that switch was easy, or was it burdensome, or was there a steep learning curve to z/VM, or not? Tuan Hoang: Oh, it was fun. It was really fun to work with both KVM and z/VM. I find it a really interesting experience, and I couldn’t thank IBM employees that provided me with z/VM access, and that’s a really, really great experience. Jeff Frey: All right. Well, listen, thanks so much for joining the broadcast today. It was a great discussion. I really appreciate it, and I’m sure that people who listen to this broadcast will be very interested in some of your perspectives, so thank you very much. Jeff Frey: And best of luck to you in the future. So that’s it for us today, for this particular broadcast, and we’ll see you next time. Bye now.